In the summers, I live for watermelon. 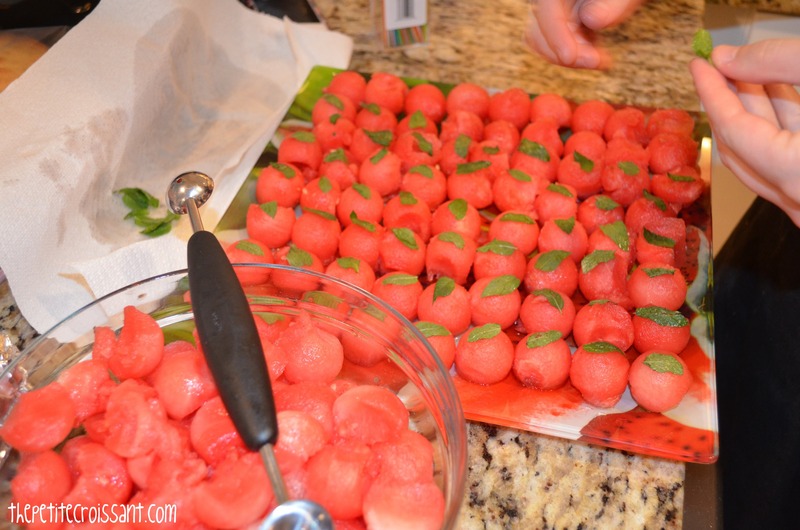 When I can, I eat half a mini-watermelon every day. I literally cut it in half, and then sit with the half I’m going to eat, using a melon baller to scoop out bites (which immediately go into my mouth, no need to get a bowl dirty). It’s so refreshing and is the perfect palate cleanser after dinner. But sometimes, I need to class it up, and you know, serve it to people. 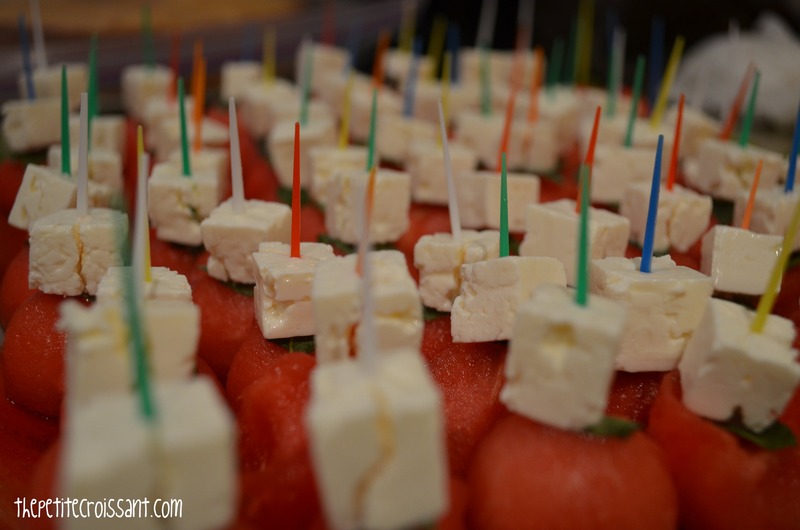 Recently, I’ve started serving a watermelon, feta, and mint salad. The first time I did it as a traditional salad for a dinner party. The second time, I did mini ones on toothpicks for a birthday party. Both were delicious. 1. Mix all ingredients except for mint in a large bowl. Top with mint. Chill until ready to serve. 1. 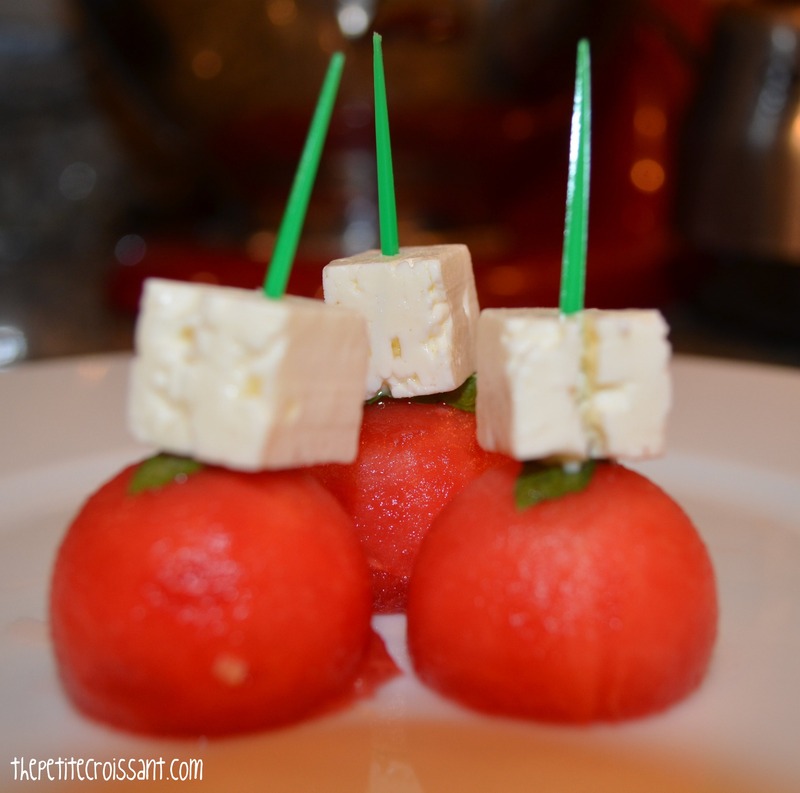 Place 1 melon ball, 1 feta square, and 1 mint leaf on a toothpick. Arrange on a plate and serve chilled.